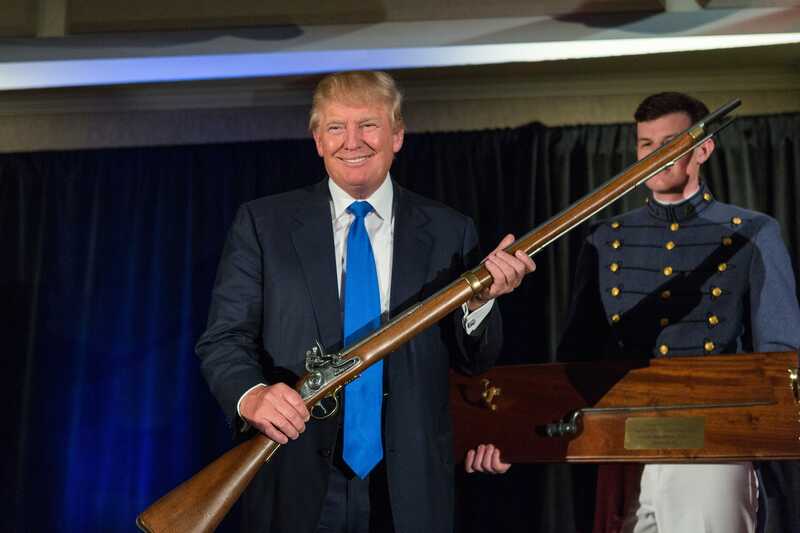 “NO WAY,” was US President Donald Trump’s concise rebuttal of Retired Supreme Court Justice John Paul Stevens’call for the repeal of the second amendment in The New York Times. Trump and Stevens’ reflection on the second amendment comes after millions around the US and the world marched over the weekend to protest gun violence and call for gun control measures. “THE SECOND AMENDMENT WILL NEVER BE REPEALED! As much as Democrats would like to see this happen, and despite the words yesterday of former Supreme Court Justice Stevens, NO WAY. We need more Republicans in 2018 and must ALWAYS hold the Supreme Court!” Trump tweeted on Wednesday. Trump has vocally criticised the role of the National Rifle Association, the biggest pro-gun lobby, in US politics, and enacted some minor gun control measures, but remains solidly in support of the right to bear arms. But in his op-ed Stevens argued that the Second Amendment – which holds that “A well regulated militia, being necessary to the security of a free State, the right of the people to keep and bear Arms, shall not be infringed” – was intended to protect Americans from a threat they no longer face in the 21st Century.